AS the losses pile up in the PBA Governors Cup, Blackwater can't wait for import Trevis Simpson to fully heal from his groin injury. Team management decided to tap prolific scorer Henry Walker to replace the hurting Simpson after the Elite suffered a third straight loss in the season-ending meet over the weekend. Walker previously suited up for Alaska and NLEX just last season. He was a second-round pick of the Washington Wizards in the 2008 NBA draft and had stints with the Boston Celtics, New York Knicks, and Miami Heat. Walker is coming off a stint with the Sioux Falls Skyforce in the NBA D-League. Blackwater said Walker is set to arrive in the country on Tuesday. 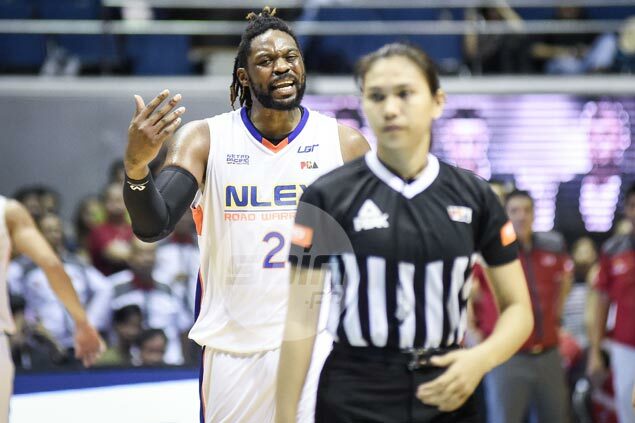 Team manager Johnson Martinez bared NLEX has verbally agreed to release the 29-year-old import, who steered the Road Warriors to the quarterfinals of the same tournament last season. Martinez later confirmed he already got the signed release paper from NLEX late Monday afternoon. Simpson, 25, was actually going great guns for Blackwater until hurting his groin during the team's loss to Star Hotshots last week. He tried to play through the pain in the Elite's game against grand slam-seeking San Miguel on Saturday, but the injury obviously limited his movement. He suited up for just nine minutes and ended up scoreless in a 118-93 rout. Simpson later said he understands the team's decision if ever he'll be replaced. “I’m injured at this moment, if they have to bring in someone, I’ll understand that completely,” said Simpson, who sat out the entire second half of the game against the Beermen.